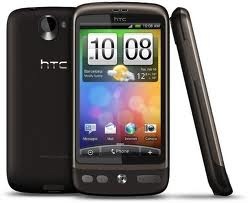 The official Gingerbread build for the HTC Desire was released a few days ago, but it was pushed out as an RUU, not in typical OTA (over-the-air) fashion like we've all become accustomed to. I think there has been some confusion about HTC's plans for the Desire, as we've received several emails asking when an OTA may become available. 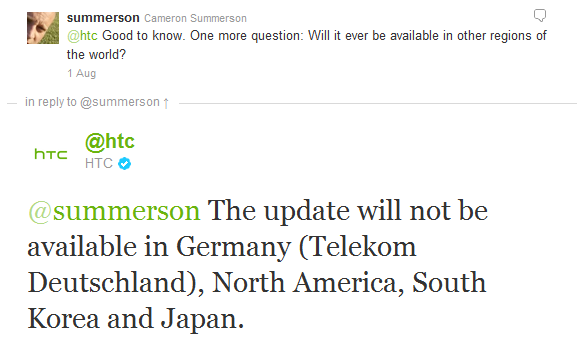 I pinged HTC on Twitter to get an answer to that question and, to put it simply, there isn't going to be one. Similarly, I also asked if the update would even available to regions outside of the initial group. Again -- no. As much as I hate to be the bearer of bad news, this is the state of things. If you're waiting on Gingerbread to hit your Desire, you should probably go ahead and root it now, as that's the only way you'll see ever see it.